Walt Disney Studios announced this month an unprecedented collaboration between the Studio, Disneyland Resort and Walt Disney World Resort to offer park guests a 12-minute sneak peek of Disney’s upcoming thrilling, mystery-adventure film, "Tomorrowland," opening in theatres on May 22. Lucky guests will also enjoy an impressive exhibit that features the making of the movie with props, concept artwork and photos from the filming of the movie plus exclusive images from the Disney Archives. The sneak peek and exhibit will open April 17 in Tomorrowland at Disneyland Park and on April 18 in Future World at Epcot and will be available to the public for a limited time. Would be great to join the exhibit if only we were a little bit close to that location. "Tomorrowland," a riveting mystery adventure starring Academy Award winner George Clooney, tells the story of former boy-genius Frank (Clooney), jaded by disillusionment, and Casey (Britt Robertson), a bright, optimistic teen bursting with scientific curiosity, who are bound by a shared destiny and embark on a danger-filled mission to unearth the secrets of an enigmatic place somewhere in time and space known only as "Tomorrowland." 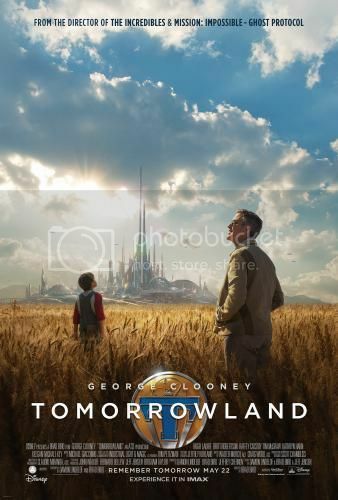 I saw a short piece from "Tomorrowland", it was so amazing that I even forgot that I was watching just a sneak peek. What they must do there changes the world—and them—forever. From a story by Lindelof & Bird & Jeff Jensen, "Tomorrowland" promises to take audiences on a thrill ride of nonstop adventures through new dimensions that have only been dreamed of. The film also stars Hugh Laurie as brilliant scientist David Nix, Raffey Cassidy, Tim McGraw, Kathryn Hahn, Keegan-Michael Key and Thomas Robinson. We are looking forward to the movie ready to hit theatres starting May 22!